Restricted and patented keys has been the subject of much debate within the lock industry for many years and causes great confusion and concern for end users, locksmiths and manufacturers alike. Some keys are commonly referred to as “restricted keys” and are promoted and sold to end users as “can only be copied by authorisation or with a card”. This is not the case as nearly all keys can be copied or engineered by modern technology even if patent protected. Many key blanks are protected by patent law and it is illegal to copy them if not using the lawful key blank. Although it is illegal to copy a patented key, the fact is that it is done quite frequently by reshaping key blanks or using spurious key blanks. The only people who can control or take issue with this practice are the manufacturers by issuing a letter of cessation or legal proceedings against the blank manufacturer or key cutter. However, by the time it takes to do this, the damage has been done and the key system and end user have been compromised. The supplier (locksmith) of the key system now has to deal with an irate and concerned customer and the possible replacement of the key system or face legal action. Where does that leave an end user who wants reassurance that their keys cannot be copied without their knowledge? This is where the locksmith or key supplier should be proficient and recommend key systems which are difficult to duplicate. The lock manufacturer and distributor in turn should not promote an easy copy able key as high security to their customers as nearly all mechanical keys can be duplicated or machined to work. 3D printers and milling machines (such as the Bosch Easi-Entrie or the Keyking) are more affordable and are readily available. 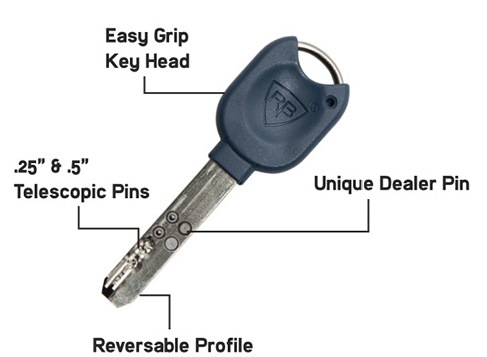 Realistically keys with electronic components or movable mechanisms within the key blank offer the best protection. Key systems protected by patent alone do not provide total key security and should never be sold as such. Making a statement like “This key can only be copied on production of a card” can bring you into a court of law defending an action by a customer whose security was compromised. It is up to the supplier of a security key system to be aware of the potential dangers in specifying. It is the responsibility of all locksmiths to advise manufacturers if any key systems are being compromised. It is then the responsibility of the manufacturer to take the appropriate action. By the locksmiths and manufacturers working together, there is a better chance of eradicating the problem. It is in the best interest of the end user, locksmith and manufacturer to do so. 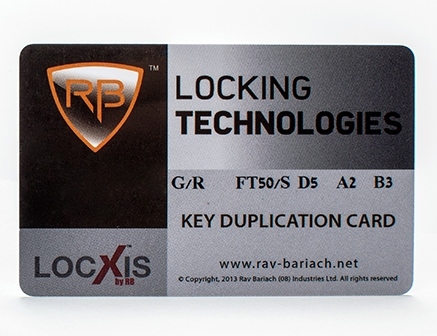 Key systems like Locxis provide a much higher level of key protection. It is patented until 2030 and it has 10 different size interactive pins within the key blank. The different size pins make it extremely difficult to manufacture an alternative key blank to suit. It also lessens the opportunities for using genuine key blanks to copy a key for a specific system.